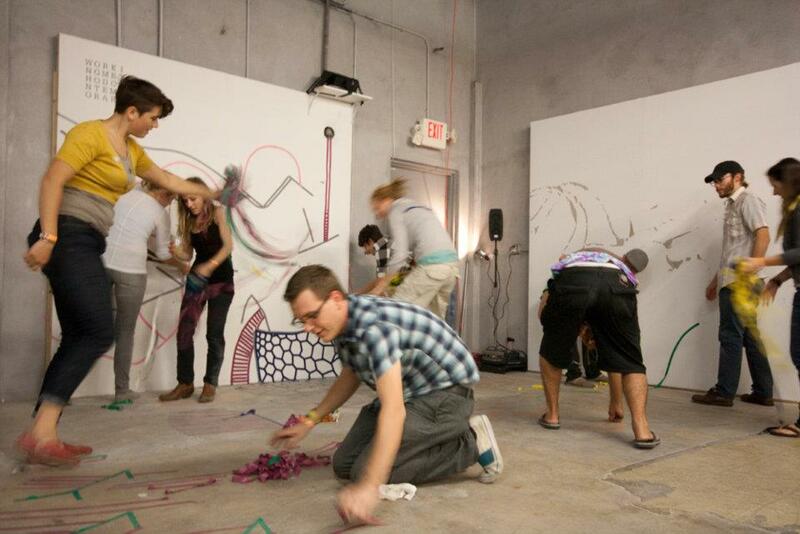 FSU Graduate Students traveled with their gallery Working Method Contemporary to show at Fountain Art Fair during this year’s events Art Basel Miami Beach (December 1 – December 4, 2011). The gallery undertook a multiple-show venue ranging from performance and installation to traditional exhibition. See photos of the various configurations of the booth at their facebook page. The Working Method Contemporary is an art space located within the Railroad Square Art Park in Tallahassee, Florida. The Gallery is provided by the Florida State University Department of Art to the approximately thirty graduate students pursuing a Master’s Degree in Studio Art. The gallery is completely student volunteer run, and operates as a non-commercial space dedicated to showing recent works and collaborations by current students.